Our mother, Kathy Napier, and her battle with lung disease. Kathy has been battling with chronic lung disease. She is in need of a lung transplant so she can live a longer life. Kathy wants to enjoy her life and watch her grand kids grow. Kathy has always enjoyed life, and she lived life to the fullest, until she got diagnosed with this lung disease. Kathy has a positive attitude on life although she can’t do much for herself since she has been diagnosed with this lung disease. Kathy’s family wants her life back, so that her kids and grand kids can enjoy her once again, and have Kathy’s sparky, positive life back. She is a mother to four children: Randa, Colby, Lynde, and Brady. Even though this is going to be one of the hardest things Kathy will endure, easing the financial burden will help tremendously. Kathy would do anything for anyone and we are hoping by raising money we can show her just how much she means to us all. Donations to Help Hope Live can help ease the financial burden of a transplant and allow Kathy to focus on a healthy recovery and a long live ahead with her family. We are looking to raise $4,000 for medical and related expenses. The minimum recovery is 3 months. 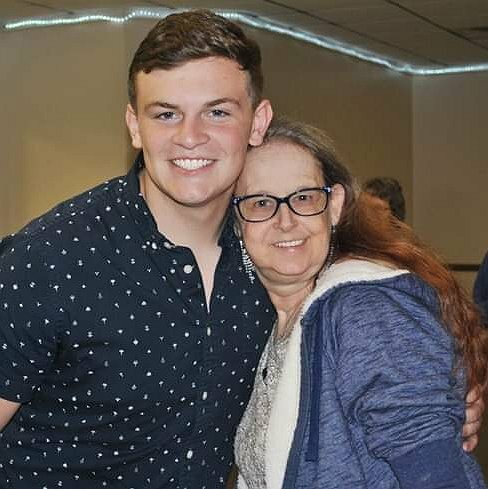 Family and friends of Kathy Napier are raising money for the nonprofit Help Hope Live to fund uninsured medical expenses associated with transplantation. Kathy has chosen to fundraise for Help Hope Live in part because Help Hope Live assures fiscal accountability of funds raised and tax deductibility for contributors. Contributors can be sure donations will be used to pay or reimburse medical and related expenses. To make a tax-deductible donation to this fundraising campaign, click on the Give button.